We are importing luxury fireplace stoves in original 360° glazing for maximum fireplace fire enjoyment. Luxury fireplace stoves are imported from first-class Swiss manufacturers who are renowned for their care and quality. 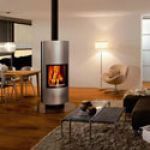 We also supply luxury fireplace stoves, which are suitable for use in low energy houses. ARDO KERAMIKA, spol. s r.o.